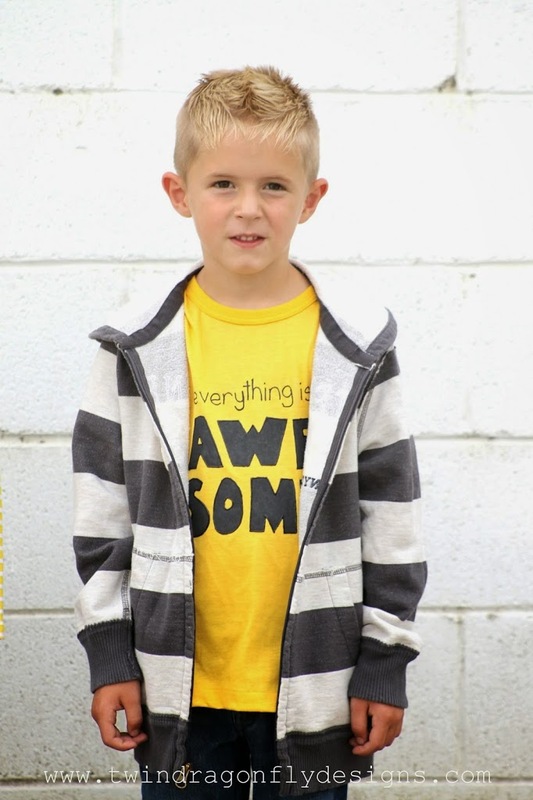 We have started to gear up for back to school with a series of fun fall looks for kids. 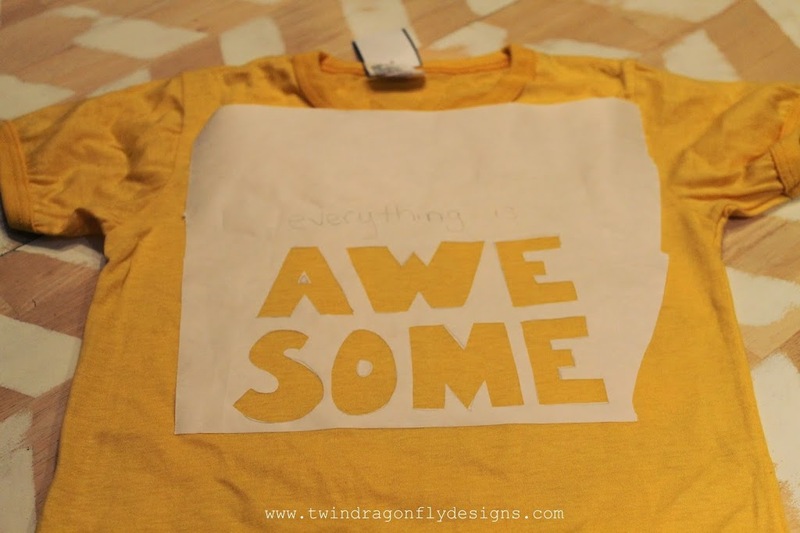 Today I am sharing this super easy, super quick “Everything is Awesome” t-shirt tutorial. I know that not everyone has a cricuit or silhouette cutting machine, and quite frankly it can be time consuming for me to just haul it out and set it up, so for this project you do not need one. 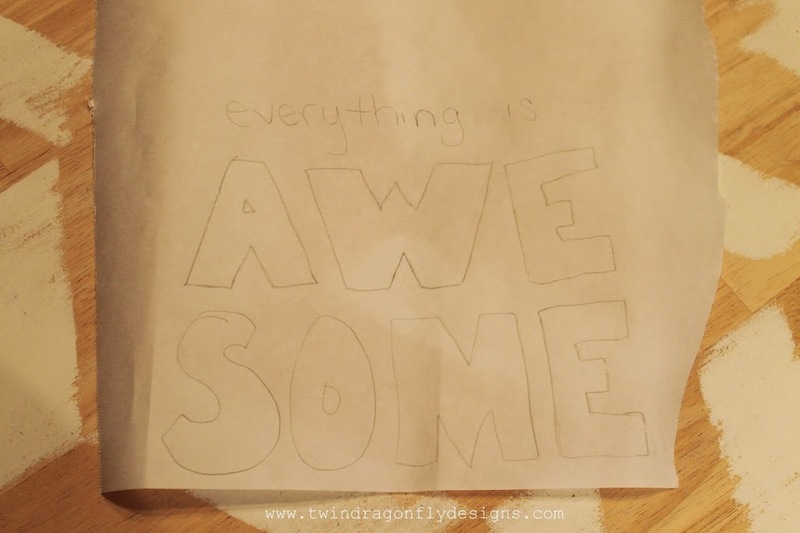 Simply draw “awe-some” onto a sheet of freezer paper. Carefully cut out the letters with a pair of sharp scissors. Be sure to save the center of the “a” and “o”. Iron the freezer paper onto the front of the t-shirt. I found this yellow, blank shirt at the thrift store for $1.99. Score! Place a scrap piece of paper between the front and back of the shirt so that the paint does not bleed through to the other side. Use acrylic fabric paint to fill in the letters. Allow it to dry then peel the paper off of the t-shirt. 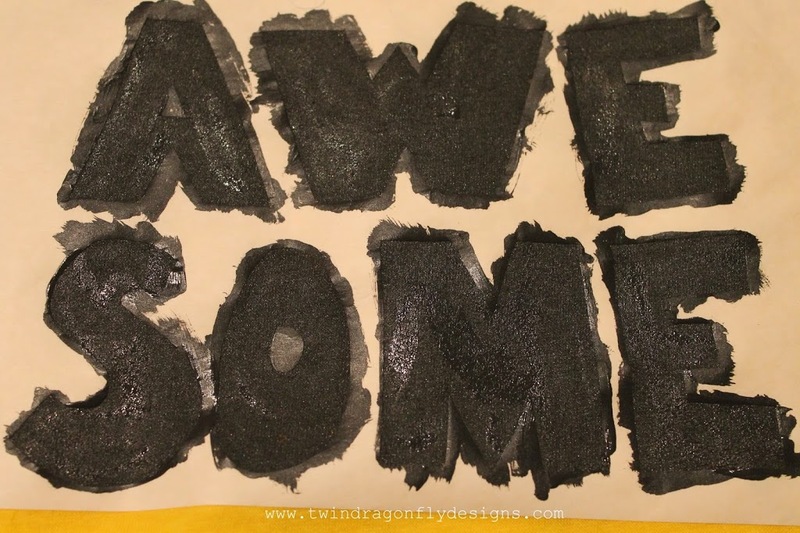 Add “everything is” to the top of the image with three dimensional fabric paint. Voila! 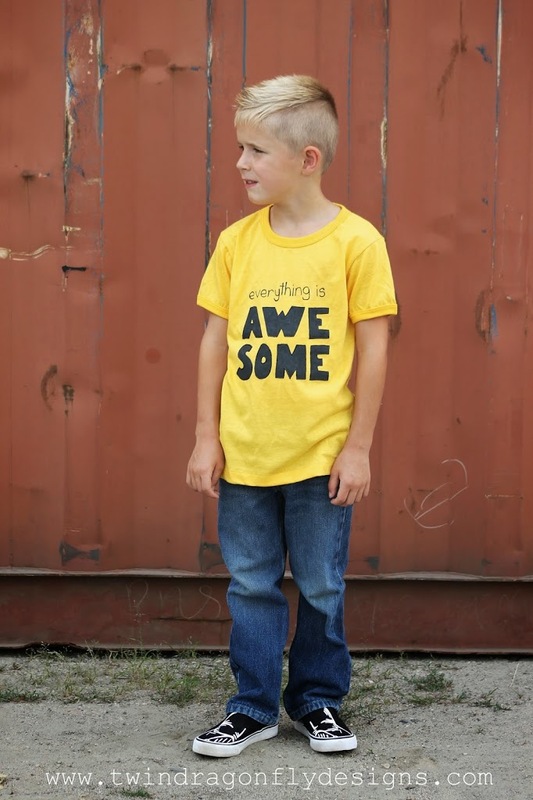 An uber cute, custom Lego t-shirt that is sure to be perfect for your little one!